Contractor Quotes: Let's Make Your Project a SuccessBlogRoofingDoes Homeowners Insurance Cover Roof, Ceiling & Skylight Leaks? Homeowner’s insurance is something that a lot of homeowners see as an unnecessary expense. And unlike health and auto insurance, it doesn’t seem to be as vital. But what if we tell you that getting insurance for your home is something that you should never take for granted, and that your choice of company could severely affect your coverage? Let’s face it – doing all kinds of construction work will cost you a pretty penny. It’s even more painful if expensive repairs are the culprit. But there’s actually a life hack for that, which a lot of people don’t realize. And yes, we are talking about the homeowners insurance. What is the Homeowners Insurance? As most of you would know, this kind of insurance covers damage on your home. But, not a lot of people know that it also covers some other things. If you lose your home, the homeowners insurance can take care of that. And if someone gets into an accident or is injured while in the premises of your property, this insurance will help pay for the hospital bills. Nifty, isn’t it? 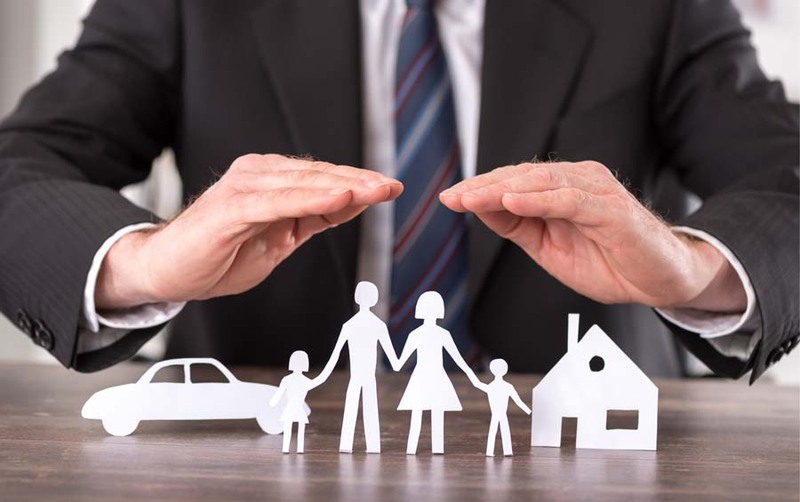 Do keep in mind that just like the health insurance, the coverage of the homeowners insurance will depend on your chosen insurance package and provider, as well as any extras or add-ons you choose. Another perk of having a homeowners insurance is that when you need to get the services of a licensed contractor, they usually have a list of accredited contractors for you to choose from. Not only that, availing the services of these accredited contractors come with a guarantee for you. That is, there is a warranty for any kind of work they do on your home. But like the other types, the homeowners insurance also has its limits. The coverage will always depend on your chosen insurance, as well as any add-ons or supplemental coverage you pay for. You need to familiarize yourself with what is and what is not covered by your homeowners insurance, as this is something that a lot of homeowners fail to do. Not doing so usually ends up with homeowners wasting a lot of time and resources filing claims and pointlessly arguing with their insurance provider, only to find out later that they got it wrong themselves and the insurance provider’s refusal to accept their claims are actually justified and correct. Roof leaks are no joke – storm damage, missing or damaged shingles, a ceiling leak, the list goes on. As the first line of defense in any home against turbulent weather, they get beat up the most. This makes them the most at risk in getting damaged the fastest. And solving these issues can get costly. The most important thing to remember is that the cause of the leaks on the roof will determine if your homeowners insurance will pay for the roof repair or not. Homeowners insurance policies have a declaration page that includes an “open peril” or hazards list. This particular list states what is covered by your policy. Explosions (although not necessarily exploding water heaters since it may be caused by a lack of maintenance). To sum it up, the open peril list of homeowners insurance covers natural causes, as well as unintended and abrupt occurrences that occurred and have affected your home, unless these causes are explicitly part of the exclusion list. Like we said, not all issues with your roof are covered by insurance. Various insurance companies have different lists of exempted from their packages of homeowners insurance coverages. One thing that tops their list, and is the most common exclusion, is damage due to lack of or improper maintenance. Neglecting the roof, including the accessories connected to it such as the skylights, is a common mistake that many homeowners make, and this is one of the fastest ways to damage it. And when this happens, you can expect your insurance provider to decline your claim. Worse, they might even cancel your insurance altogether because of it. Wear and tear happen, and unfortunately these are also not covered by the homeowners insurance. Since roofs are known to be durable, you can expect your properly maintained roof to be in good condition well after your insurance coverage expires. You won’t even have to file claims for it, because a roof that undergoes periodic maintenance will look good and function perfectly for a very long time. Do note that the effects of the presence of fungi and mold in your home may be covered by the homeowners insurance in certain cases. In particular, this is covered if the growth is the result of incidents that are covered by your insurance policy, such as roof leaks. We know that mold and other types of fungi grow in a humid environment of a house. If they grew because of roof or skylight leaks, addressing the issue is normally covered by insurance. This is because roof and skylight leaks, including its effects, are part of the homeowners insurance coverage. But if the mold or fungi appeared and the reason for their growth is not an effect of a covered incident, the only way to claim is if you had an insurance add-on for mold and fungi prior to the discovery. Supplemental coverage or an insurance add-on is also offered by insurance companies, which you can avail of. Add-ons are optional specific incidents that you may choose to include in your insurance policies. These add-ons you can add will depend on the insurance company that handles your policy – some may offer more options than other providers or have add-ons unique to them. Roof leaks can happen for a lot of reasons, with most of them related to weather. We know that hail, rain, and hurricane are common culprits but did you know that wind can also cause a leaking roof? Strong winds are enough to cause damage to your roof, particularly by creating stress points that will eventually wear out after being exposed to such winds repeatedly or for prolonged periods. And when this happens, the shingle of the roof is usually the most affected. When the roof shingles are affected, they get loose enough for water to penetrate underneath whenever it rains. This water will affect the insulation and frames of your roof, which will result in leaks. Damaged shingles are not the only possible effect of wind on the roof. Because the wind affects various sections of a roof differently, this means the most susceptible areas get the most damage and are first to be affected. The edges are where damage often starts and once it gets constantly battered, a chain effect of the roof being removed can occur. Think of it as similar to a banana peel being pulled away to uncover the banana. Have you ever seen trees that are uprooted after a storm? The culprit for it is actually the wind, not the heavy rains. Wind can be strong enough to knock down trees, with some of these trees or their branches ending up hitting the roof. When this happens, cracks and holes normally appear. Worse, it can cause skylights to shatter. And the result? Leaks. The wind is also capable of bringing along all kinds of debris that likely end up on the roof. This is why you may sometimes see branches, toys, clothes, and other items on top of your roof after a storm. These items can easily damage your roof once it gets into contact with it, especially when moving at high speeds. This again may result in leaks. Direct damage to your home by various debris is not the only way for leaks to occur. Other components of your roof, such as the skylights, gutters pulling away, downspouts needing to be cleaned, failing roof flashing, pipes for ventilation, and chimneys are also possible sources of the leak when they get damaged or debris is trapped or caused the damage. But when it comes to checking your roof for leaks, this is something you can do yourself. The only requirement is that you need to be aware of the visible signs of a roof or ceiling leak. Check out your roof on the outside, paying close attention to the condition of the shingles. If you noticed that the shingles on your roof are damaged or missing, and only a few sections of your roof are affected, it means the damage on your roof is minimal and will likely be fixed by a basic roof repair. Shingle-less roofs or flat roofs will also exhibit visible signs of leaks. All you need to do is be on the lookout for visible blisters, bubbles, patches, wrinkles, cracks, or patches on the roof. It is not just the roof itself that you need to check for signs of a leak. Even the components near it or installed on your roof may be damaged enough to allow water to enter and cause leaking. If you have skylights, they may also be the source of your leak. Their flashing may have issues, such as rust, corrosion, improperly installed, or any other damage. Also, the upslope of your roofing may cause water to enter through the skylight, even if there are no visible issues with either of them. And another possible cause is plain, old condensation – you can easily mistake too much condensation anywhere in your home as leaks. Leaks are a nuisance that will never go away on their own and will only lead to more problems. It is not just damage to your home that you will have to deal with, but damage to your budget as well. Roof leaks at best will only require minor repairs but at worst, you will likely be looking at a roof replacement already. If after your inspection you determine that a roof leak is very much a possibility, it is now time to call and get the services of a roofing contractor. ASAP. At the same time, you need to get in touch with your homeowner insurance provider to see if your policy covers the issue. Make sure to inform the contractor that you have a homeowners insurance and tell your insurance provider that you are already in touch with a contractor. 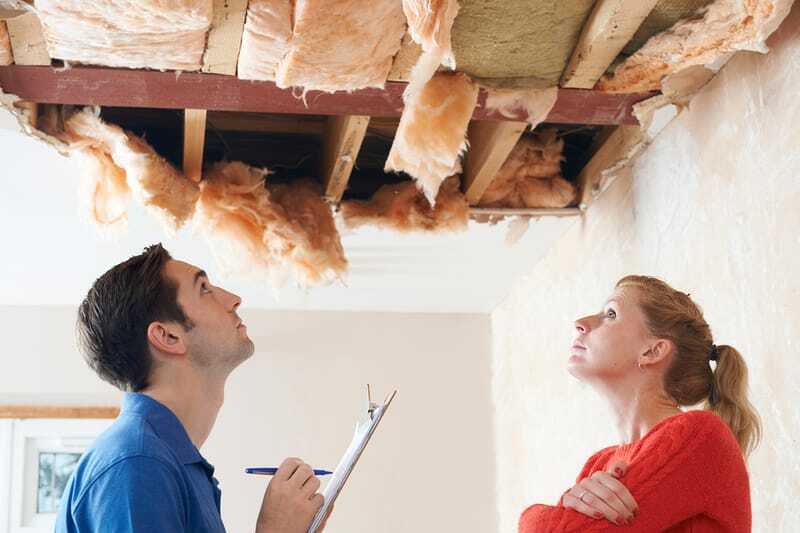 This is to avoid any complications with your insurance when repairs are done in your home. You don’t want to shell out money for something that your insurance could’ve taken care of. When dealing with leaks, whether from the roof, ceiling, plumbing, or any other system in your home, it is always a good practice for homeowners to let professionals handle the work. Roof leaks, in particular, can be dangerous for a beginner to work on. You have to deal with heights, slope, and fragile materials that will easily get damaged when mishandled and may cost a lot to replace. It is not a job for the fainthearted. But let’s face it, there are times when we have to work on a limited budget, and expenses such as this will have to set us back by a lot. And getting the services of a contractor is often out of the question during these times. However, this is not an excuse for you to ignore the leaks. Again, these are just temporary solutions you can do to immediately address a leak. 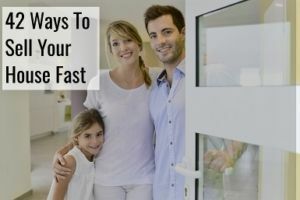 These methods may also be used if the roofing contractor you are getting is unavailable yet and you have to wait for a while for him or her to arrive. It is always better to use temporary fixes than leaving leaks alone until a contractor arrives and does the job for you. And if the leak is covered by your insurance policy, make sure that the temporary fix is made known to your insurance provider and ask if such a fix may void your claims. Always confirm with your insurance provider if any work done in your home may potentially cause your homeowners insurance to be affected – you don’t want it to be accidentally voided. This may be rare but it happens. One thing you should also concern yourself when it comes to leaks is the potential water damage it can cause. Leaks are not just a source of exasperation but they can also cause various issues on your home, so you should never take them for granted. Insurance providers are aware that leaks can cause damage to any home, that’s why they cover water damage that is the result of a leak that suddenly appeared. If possible, remove all your stuff in the area where there is a leak. Prioritize moving the items closest to the area of the leak. But if moving is not an option, covering your belongings up with plastic or any waterproof material will work. Just make sure to protect your floors as well. Collect the drops of water using buckets or pails if the leaks are continuous. But if not, using papers, such as newspapers, or towels will suffice. If the leak is strong and it is not possible for you place buckets below the leak, you can divert the flow of water by placing a string that will serves as the guide for water to flow. The other end of the string can be placed in the bucket, or directly to a drain. If a ceiling leak is present, check for any signs of bubbling or bulges. If there is, chances are that water is present inside and you need to burst those bubbles immediately. Yes, we mean that literally. Leaving them alone will just cause those bulges to grow in size over time, and your ceiling will eventually be unable to hold all that weight, causing both your ceiling and water to crash down. But of course, the best way to avoid water damage is to prevent leaks from making their appearance in the first place. Make sure regular maintenance is done on your home, especially the most vulnerable parts. Your roof tops that list. Removing weeds and stray plants? Check. Polishing your wooden floors? Check. Running the vacuum over your carpets and immediately cleaning up spills and mess? Check. Does this sound familiar to you? This is actually one of the most common mistakes homeowners make, only to regret it a lot later when they try to claim insurance and the inspector denies their claim. If you recall, we mentioned that poor maintenance of your roof is an easy excuse for insurance companies to reject claims for the homeowners insurance. Worse, they may even cancel your policy altogether. And if you are applying for a new one, a poorly maintained roof may give inspectors the perfect reason to deny your application. This is one of the major reasons why regular roof maintenance is crucial. Out of sight, out of mind will usually apply when it comes to roofs, but what may also follow are out of this world bills you have to pay because of the extensive damage. Aside from your insurance policy, your home itself will be affected by a roof that is in bad shape. After all, this is the first line of defense against extreme weather disturbances, like a hurricane or storm. If your roof is weak, damage to your home will follow. Consider yourself lucky if you only have to deal with leaks in these instances. Roofs are supposed to last decades, but did you know that one of the surefire ways to make sure that your roof will last for at least a lifetime is to get it regularly maintained? Well-maintained roofs will hardly encounter any issues and when they do, only minor roof repairs, at most, will solve them. Most roofs or roofing materials used come with warranties, but this does not mean that manufacturers will honor the warranty at all times. Just like your insurance policy, manufacturers’ warranties also come with clauses that need to be met before you can claim compensation or replacement for their supposedly defective product that you used. But if they see that your roof has issues that they can attribute to poor maintenance, don’t be surprised for your warranty request to be rejected. They may claim that neglect caused the issues on the roofing materials, or the roof itself, that you bought from them. A poorly maintained roof is the perfect loophole for manufacturers, as well as insurance providers, to reject claims of homeowners like you. If you are concerned with aesthetics, then you should know that roofs can quickly become an eyesore that will take away the beauty of your entire home. Even if you think no one looks up at the roof anyway, a badly-maintained roof will, in fact, catch anyone’s eye. 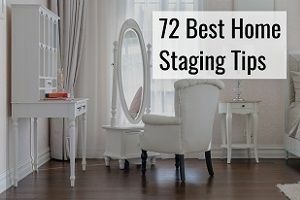 And if you are putting up your house for sale, or at least plan to, it will make your house lose value and you’re left with an asking price way lower than you’d like. Most homeowners also skip out on doing regular maintenance on their roof because they expect to shell out a lot of money every single time. And if they are doing it themselves, they think it will just be a waste of time in the end. 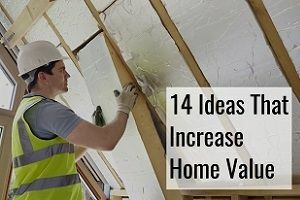 What these homeowners don’t realize is that repeatedly having their roofs undergo maintenance checks every now and then will help save a lot of money in the end. Regular roof maintenance is an investment and not a lot of homeowners don’t realize it. Not taking proper care of your roof will mean that a roof replacement is something you can expect sooner than later. And we all know how expensive it is to get a new roof. All kinds of hazards can cause damage to your home. Insurance providers acknowledge that and this is why most homeowners insurance policies come with a ‘dwelling coverage’ or ‘dwelling insurance.’ This dwelling insurance covers the different perils we mentioned earlier in this article. On the plus side, roof issues are generally covered by homeowners insurance. And yes, this includes roof leaks. However, this coverage will depend on the primary cause for them. Damage caused by weather disturbances are likely covered by insurance, but damage due to neglect and improper maintenance is often not. Roofing issues on your home, as well as any connected building to it, will fall under the dwelling coverage. And if the issues are caused by a hazard or open peril covered by your homeowners insurance, there is a high chance that your insurance provider will accept your claims and provide financial assistance for its repair. Of course, it will still depend on your insurance policy and the add-ons you included. If the roofing on a detached building in your property is the one that has issues, this will likely not fall under the dwelling coverage of your insurance policy. Homeowners insurance policies also typically have an ‘other structures coverage’ and this is where detached buildings fall under. And again, natural causes are almost always covered by the homeowners insurance. What will not be covered are those hazards that are explicitly part of your policy’s exclusion list. And more often than not, any immediate effects on your home of these natural causes will also be covered by your insurance. Something you also need to keep in mind is that there is a limit to how much your insurance provider will shoulder. This means you can’t wish for a hurricane to do some minor damage to your roof every time you feel like getting a roof replacement. Even a homeowners insurance comes with the deductible and coverage limit that determines the threshold of how much your insurance will cover and how much you still have to shell out. Yes, even if you have a homeowners insurance, you still need to pay a fraction of the total cost of repairs or replacements done in your home. Your insurance will only shoulder most of it, not everything. This is the ‘deductible’ part of your insurance policy. On the other hand, the ‘coverage limit’ of your policy will let you know how much your insurance provider will pay for at maximum for the claims you make. This coverage limit is primarily dependent on the premium or payment for your insurance coverage. That is, if you have a high premium, your insurance policy will also have a high coverage limit. It is important for you to be aware of not just what is covered but also the deductibles and the coverage limit of your homeowners insurance. We can’t deny that there’s a sense of satisfaction and fulfillment after successfully completing a construction project by yourself. But it is a different story when we talk about working on roofs, since it’s one of the most dangerous jobs there is. If successfully completing your DIY work on the roof means you had to endure countless injuries, or even hospital trips, vertigo, and wasted materials, wouldn’t it have been better to get a roofing contractor to do the job on your behalf? Among the numerous projects that can be done at home, any kind of work on the roof is among the most dangerous. There are a lot of risks involved when doing roof repairs, even for licensed professionals. What more for those without the proper training and knowledge? It doesn’t matter if your house is just a bungalow; accidents can still happen. In fact, anyone who doesn’t land themselves in the hospital can consider themselves lucky; you’re often looking at broken limbs if you get into an accident while working on your roof. This is why it is important to let the roofing pros handle the roofing-related work for you. These licensed pros already know the ins-and-outs of the work, minimizing the risk of injury and even completing the job faster than having to do it yourself. Sure, you’ll have to pay for the labor but what you may not realize is that aside from paying for their professional fees and materials, you also pay for your own peace of mind. Since a professional did the work for you, you can expect to not encounter any issues with your roof for a long time. And if there are issues, the warranty will take care of it. This means no more interruptions while you are catching up on your sleep or in the middle of a good book or a Netflix marathon because your roof suddenly sprung a leak. Isn’t that great?